Who doesn't want to be a super hero? 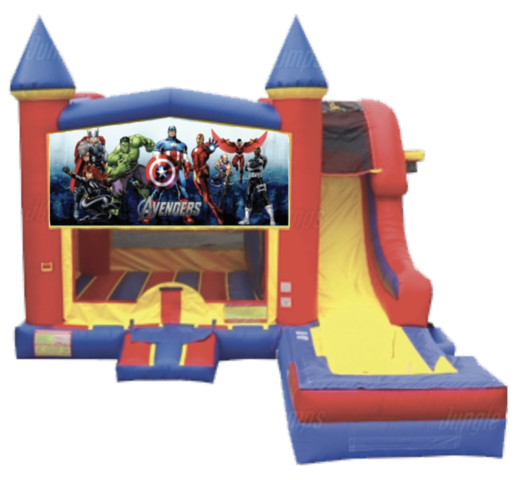 Kids will love to spend hours pretending to fight crime just like their favorite Avengers super hero in this great combo! This combo offers bouncing, shooting hoops, climbing, sliding down the waterslide into a splash pool and an additional hoop on the outside of the unit for extra fun!